And also mixed in with a good portion of libertarian/Classical Liberal retard too. At this point, it is difficult not to lose all respect for Sargon. For years, he did sterling work refuting and countering all the nonsense of the SJW Left, but now seems to have fallen into – or at least been forced to throw up – Cultural Leftist nonsense. All this has happened because of his picking a fight with the Alt Right. Unfortunately, Sargon isn’t intellectually up to debating such people, and it is not just his lame Classical Liberal individualist rubbish that is the cause of this. Sargon is also ignorant of science. When Sargon says that white people are just a “social construct,” he is denying evolution, biology and modern science, and falling back on social constructivism – a cult of nonsense on the Cultural Left. One can easily find the facts about race in Nicholas Wade’s A Troublesome Inheritance: Genes, Race and Human History (New York, 2014). Wade was a New York Times science writer and, typically, he and his book were subject to all sort of vicious slanderous attacks, even though his basic facts are the findings of modern science and have not been refuted. It is easy to prove Sargon wrong by referring to the scientific facts. By “white people,” what Sargon really means is “white European Caucasians,” a sub-branch of the Caucasian/Caucasoid population group or race. The broad Caucasian/Caucasoid race includes more than just Europeans, of course, since it includes North African Caucasians, Middle Eastern Caucasians, the indigenous people of the Caucasus, and Central Asian Caucasians. But Europeans are an objective and real subgroup of this broad population group, which has a distinctive set of phenotypes and genetic markers. We can easily prove this. As Wade points out, humans have the same types of genes, but human races differ in terms of gene allele frequencies (Wade 2014: 96), which cause distinctive phenotypes because of a common ancestry and evolutionary history. 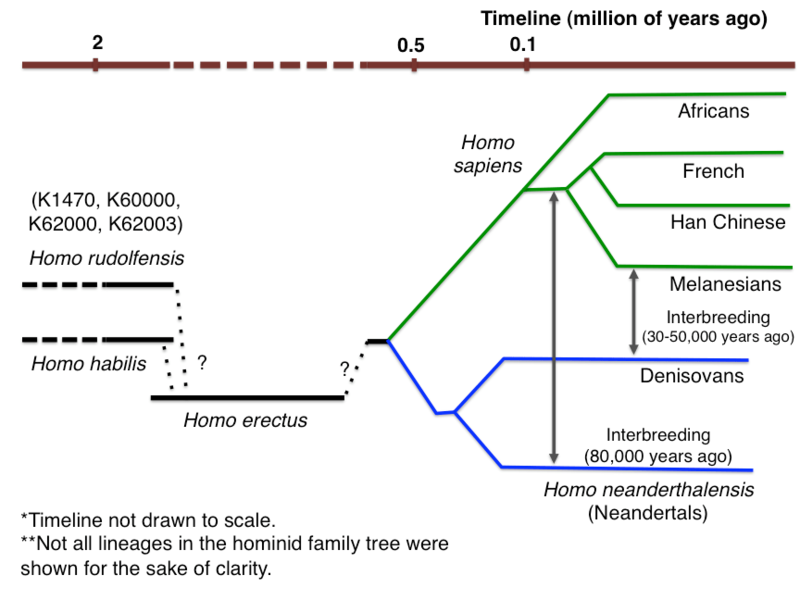 Genome sequencing shows us that human populations have been subject to genetic and evolutionary changes in the various regions of settlement and in recent history, because of different selective pressures and other evolutionary processes, and that these changes differ from population to population (Wade 2014: 103). Genes under selection actually do differ from region to region in the genome: of genetic regions under selection, there were 206 distinct regions in the genome of Africans, 185 in East Asians, and 188 in Europeans (Wade 2014: 103). Evolution is driven to a great extent by the prevalence of gene variants called alleles. These alleles spread through a population by natural selection. Many important phenotypic traits are caused by a number of different genes (Wade 2014: 111). But an allele need only become more common in a population with respect to another population to cause significant evolutionary change. Human beings can be objectively divided into 5 major continental races, with minor races as well as additional “clines” (people of mixed ancestry). It is also a total myth that a race has to be “pure” in order to exist. This is utterly false. Modern Mestizos are a real objective race, but by origin they were a “cline,” an admixture between mostly male European Caucasians and female Amerindians. (2) single Nucleotide Polymorphism (SNPs). (5) Amerindians (Wade 2014: 97–98). There are also minor races like New Guineans and Melanesians (Wade 2014: 97), as well as “clines” (admixtures of two originally separate groups) like the people of sub-continental India (Wade 2014: 96). Within broad races, one can also find sub-groups with finer genetic testing, which often line up with traditional ethnicities (Wade 2014: 98), which have themselves shared common descent and further minor evolution. So science says that Caucasians are a real objective group defined by objective gene allele frequencies derived from common descent and evolution. The science of genetics also says Europeans are an objectively real group with a three-fold common descent. The evidence can be seen in Gibbons (2014), Allentoft et al. (2015), Günther et al. (2015), Mathieson et al. (2015) and Hofmanová et al. (2016). These studies are based on gene sequencing of ancient DNA in the remains of people who died thousands of years ago. (3) Indo-European-speaking Yamnaya-culture people who swept into Europe from the Russian steppe from 3,000 to 2,000 BC. These were the earliest members of Homo sapiens in Europe; they were a hunter-gatherer people who lived in Europe from about 45,000 years ago during the end of the last Ice Age (which lasted from about 108,000 to 10,000 BC). They came from the Middle East along a Mediterranean route. But Europe must have been sparsely populated by these people: in essence, the earliest European hunter-gatherers must have been a relatively small population. These Mesolithic hunter-gatherers have contributed to modern European genetics, though to a different extent in different regions. It appears that some of them interbred with the Neanderthals (who had in turn evolved from Homo erectus populations) (see here). But, even if true, the Neanderthal genetic contribution to modern Europeans is low, maybe as low as 1.5–2.1% (Prüfer et al. 2014). (For a useful family tree, see here). There also seems to be some evidence that the mysterious Homo sapiens denisova lived in Europe in the Stone age. At any rate, the Palaeolithic and Mesolithic hunter-gatherers appear to have had dark skin, which lightened by Darwinian evolution over the centuries, but perhaps accelerated by the adoption of farming which involved a reduced intake of vitamin D. Blue eyes may have evolved amongst these early European hunter-gatherers as well (see here and here). From c. 6,500 BC–4,000 BC, Neolithic Anatolian farmers from northern Greece and north-western Turkey started migrating into central Europe through the Balkan route and then by the Mediterranean route to the Iberian Peninsula. They brought sedentary agricultural communities and new domestic animals and plants. Modern southern Europeans still seem to have inherited much more of their genes from these people. The original Anatolian farmer phenotype was probably similar to that of the modern people of Sardinia (Hofmanová et al. 2016: 3), and, generally speaking, the swarthy phenotype of southern Europeans is the legacy of their greater descent from the Neolithic Anatolian farmers as opposed to northern Europeans. Genetic analysis of ancient farmers seems to show that after their arrival in Europe the Neolithic Anatolian farmers only mixed infrequently and at low levels with the hunter-gatherers, but increasingly from the later Neolithic period (Hofmanová et al. 2016: 4). From 3,000 to 2,000 BC, there was massive migration of people from the South Russian steppe into central Europe, and then into northern and western Europe, and these people were of the Yamnaya culture north of the Black Sea. These people were almost certainly proto-Indo-European speakers (Balter and Gibbons 2015), cattle herders, and probably had a phenotype with brown eyes, pale skin, and taller height. It is also interesting – and not surprising – that the Caucasian Yamnaya-culture people have bequeathed to modern Europeans the trait of persistent adult lactose tolerance (Allentoft et al. 2015: 171). The migration of the Yamnaya-culture people west and east spread the Indo-European languages (Allentoft et al. 2015: 171). All modern indigenous Europeans (e.g., even those partly descended from the later invaders from the Eurasian steppe like the Magyars or Turkic-speaking Bulgars or Cumans) have a mix of genes from these three types of ancient people (see here). The distinctive European traits of blue eyes (from hunter gatherers), lactose tolerance (from the Yamnaya people) and fairer skin spread by interbreeding and natural selection (see here and here). The genetic contribution of the Neolithic Anatolian farmers is important, but admittedly less so as you move northwards in Europe. However, even the Scandinavians have significant descent from the Neolithic Anatolian farmers, and even a marginal population like the Irish do as well (see here). The further north you go in Europe, it appears the more is the genetic contribution of the Palaeolithic and Mesolithic hunter-gatherers. And virtually everyone has some descent from the Indo-European-speaking Yamnaya-culture people. Linguistically, this third group is fundamentally important because virtually everyone in Europe now speaks an Indo-European language, apart from the Hungarians, Finns, and Estonians (who speak Finno-Ugric languages), and the Basques (who probably speak a modern descendant of the ancient Anatolian farmer language). The Indo-European Yamnaya-culture people of the steppe had themselves mixed with a population of hunter-gatherers isolated in the Caucasus region, so that the early Yamnaya pastoralists were a mix of Eastern European hunter gatherers and another group of hunter-gatherers from the Caucasus. These people then migrated back into Europe in a mass movement from c. 3,000 to 2,000 BC (Balter and Gibbons 2015: 815). For example, they flooded into eastern and central Europe and created the Corded Ware culture (c. 3100–1900 BC) (see the map here). Their descendants appear to have arrived in Greece from 2400–2000 BC bringing with them the Proto-Greek language that would evolve into Mycenaean Greek and then the later Greek dialects of Classical Greece. So we have objective criteria for defining a white European Caucasian: a person whose ancestors lived in Europe for thousands of years and who shares a three-fold descent from (1) the Palaeolithic and Mesolithic hunter-gatherers of Europe, (2) Neolithic Anatolian and Aegean farmers who migrated into Europe, and (3) the Indo-Europeans. All these groups were also ancient Caucasians/Caucasoids, and Europeans are also a sub-group of a broader Caucasian/Caucasoid race. So Sargon can be refuted easily. I challenge him to read and respond to the evidence above, or just read the evidence in Nicholas Wade’s A Troublesome Inheritance: Genes, Race and Human History (New York, 2014), and the other genetic studies. Allentoft, Morten E. et al. 2015. “Population Genomics of Bronze Age Eurasia,” Nature 522 (11 June): 167–172. Balter, Michael and Ann Gibbons. 2015. “Indo-European Languages tied to Herders,” Science 347.6224: 814–815. Gibbons, Ann. 2014. “Three-Part Ancestry for Europeans,” Science 345.6201 (5 September): 1106–1107. Günther, Torsten et al. 2015. “Ancient Genomes link Early Farmers from Atapuerca in Spain to Modern-Day Basques,” Proceedings of the National Academy of Sciences 112.38: 11917–11922. Haak, Wolfgang. 2015. “Massive Migration from the Steppe was a Source for Indo-European Languages in Europe,” Nature 522: 207–211. Mathieson, Iain et al. 2015. “Genome-Wide Patterns of Selection in 230 Ancient Eurasians,” Nature 528.7583: 499–503. Not so fast in relying on Nicholas Wade. This makes a strong prima facie case that the letter was just virtue signalling. Oh, I doubt that very much. Main point: Wade's conclusions in the book are not universally accepted by scientists. Much more controversial than that. You don't think the letter, which gets a basic point wrong (IQ!) indicates many signers didn't read the book? Of course Wade's conclusions are not universally accepted. He said so, right? He made an argument using various materials. Just compare an albino from Africa to an inhabitant of Europe. Then ask yourself what Sargon is smoking.